Pendle Frozen Foods Ltd is a third-generation family owned and managed business, which spans over 40 years in the catering industry. 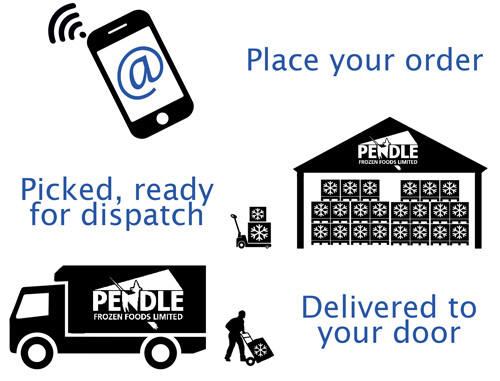 Established in 1973 as a frozen foods supplier, Pendle Frozen Foods specialised in the supply of fried chicken and associated food products, providing the whole region with a dedicated service. As business relationships developed, so did the demand for a much larger building. The years that followed would pave the future for the business. A superior, state of the art store was constructed allowing the company to flourish, achieving a highly respected reputation in the process. 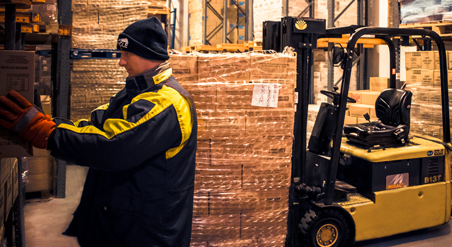 Today Pendle Frozen Foods is stronger than ever, distributing goods daily throughout the UK. Building great relationships with our customers has always been an important part of our ethos, laying the foundations to our success. The excellent standard of service we provide has contributed to the loyalty of our customers throughout the years. Despite our accomplishments, the passion to succeed and belief to work hard have remained the same since the beginning. The family’s vast experience within the catering industry started having owned and run Wimpy and KFC franchises. This experience has helped us meet the many needs of our customers and advise them of the possible pitfalls and issues that many face within the catering industry. We then went on to develop our own franchise ‘Krunchy Fried Chicken’, which is well known throughout the North West of England. The demand to source quality products at competitive prices soon became a priority and the wholesale side of the business was born. In recent years we have also acquired the well known franchise ‘Allen’s Fried Chicken’. If you would like more details regarding franchisee opportunities please do not hesitate to contact us. We would love to have you on board. We are proud to have been awarded the S.T.S standards certification, which allows us to supply produce for the highly sensitive National Health Service sector. To achieve these standards strict guidelines must be adhered to regarding the cleanliness and safety of our facilities.